Londonicious #2: South London Gallery. Today I woke up and felt pretty cultural so I said to myself, let’s go to a museum! Going central on a Sunday it’s quite risky: overground not working and so on. So I remembered there’s a local Gallery not too far from home. The South London Gallery is located in Peckham, to be precise you can find it on 65-67 Peckham Road and from Elephant & Castle you can take buses number 12/171 (Peckham Road/Southampton Way), it won’t take too long. The gallery hosts contemporary art exhibitions and live art events. According to their website they host 5 exhibition a year. The current one is called “Welcome to Iraq” and it was originally shown in the 55th Venice Biennale in 2013. I had a walk around and I found it really interesting and “different” from all the other exhibitions. The place is not too big so I will say that in half an hour the tour is completed. They also have a little shop where you can buy books about the current exhibitions and other artistic topics. The real gem is the café next door called No. 67 Café & Restaurant. I didn’t had the chance to try it yet, but the atmosphere looked amazing so I really can’t wait to give it a try. So, what are we waiting for? Let’s keep it local! 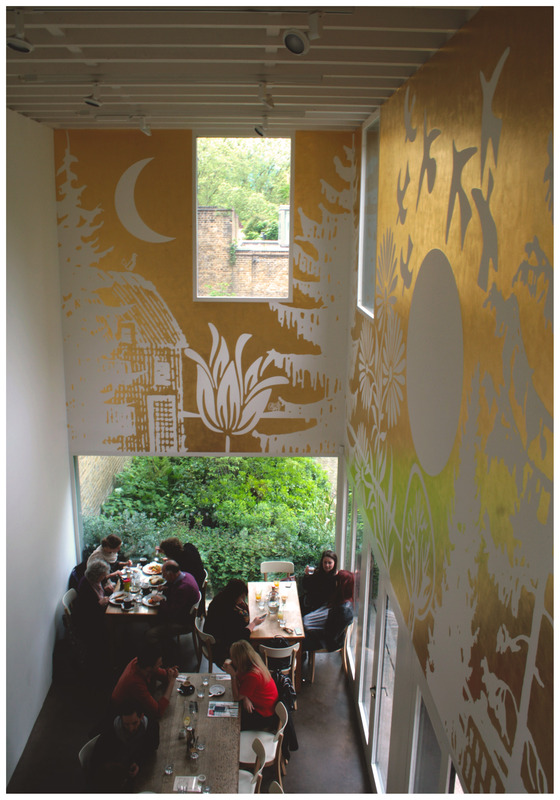 NextLondonicious #3: Sappho Meze Bar.